Summer is hard work. There’s more skin on show hence the need for constant buffing, moisturising, shaving, waxing and tanning all summer long. It’s like a ritual I have every two days or so. Scrub off the remnants of the last tan application, shower, prep my skin then embark on the process of applying it. EVENLY. This can take ages! As a very pale person, it’s been tough to find a tan that gives me an appropriate, natural level of colour. Some only give a glow and others just make me too dark. What’s the solution for a medium shade that looks summery, fresh and most of all like you developed it on a tropical holiday? 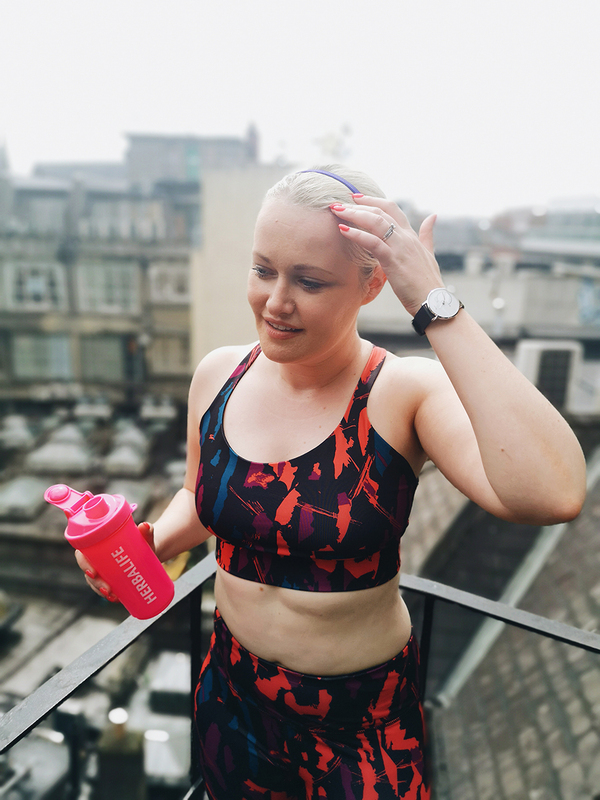 Having tried at least 100, I’ve settled on Bronz Express and since I loved it so much, I am partnering with them for the summer months to share my application tips, and the combination of the products I find excellent. Tan can be applied much more easily, and without streaking, by ensuring your skin is in prime condition. It might sound obvious, but you have to exfoliate. I am terrible for just popping on the tan before I go to bed and hope for the best to wake up with blotchy shading and a very uneven colour. Hop in the shower under water that isn’t too hot and start on your legs once your skin is wet. Massage the Bronz Express Shower Gel Scrub in circular motions up your legs to remove any dead skin and get your skin all smooth and glowing. Work your way up your body giving areas, which tend to be dry like knees, ankles, wrists and elbows some more scrub. Once you’re dry, apply the Beautifying Moisturising Lotion to your whole body. I add some extra on those areas I mentioned above. You need to leave this for a few minutes for your skin to soak up the product and dry. I find if I don’t do this, the tan doesn’t take as well. Now it’s time to apply. I use two different mitts to apply tan. I use a velvet mitt for my legs and tummy, and then a sponge based mitt for my upper body. This is a trick I thought of myself simply because I found the velvet mitt is better on longer surfaces, hence, the legs. The Self-Tanning Lotion is a fluid so you actually don’t need a lot to cover your whole body. 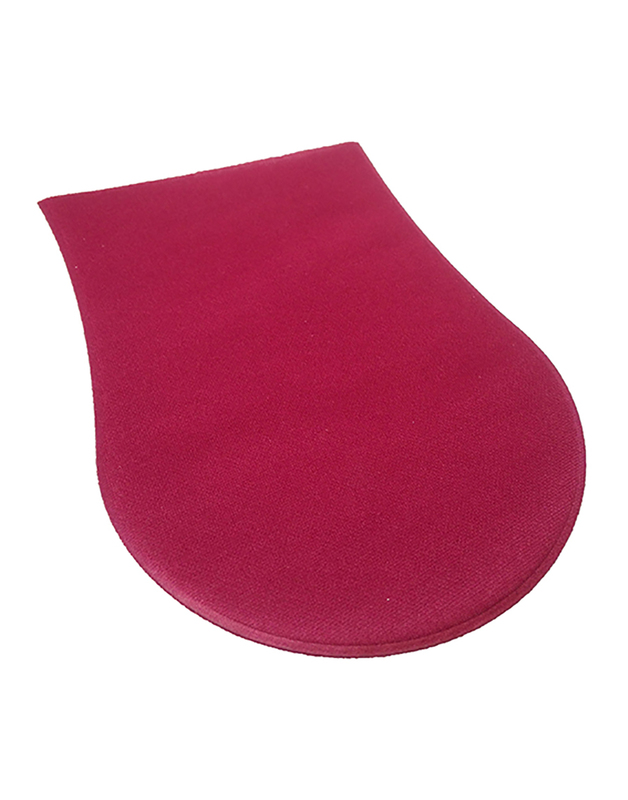 Drop some onto the velvet mitt and apply in lines down your legs initially, all the way down to your feet in one motion. Now you can buff in circular motions to make sure it’s all absorbed. Do the same with each arm but use the sponge mitt this time. I find that this mitt works better on my arms, as I’ve got hair and the sponge helps get in between them. Then sweep the mitt across your chest and back. 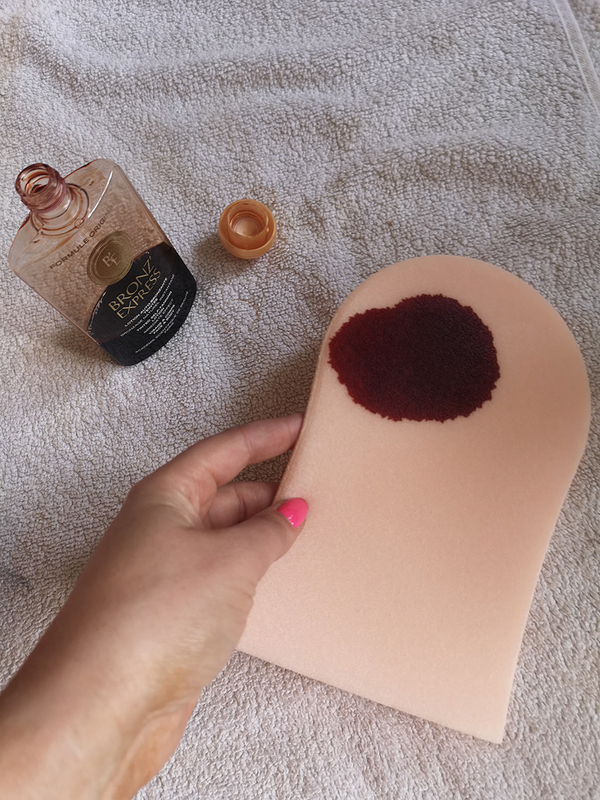 For back tanning, take the velvet mitt, and apply the tan to the top of it instead of the palm. You can then get the tan to those hard to reach bits in between your shoulder blades. Moisturising is the key not only to tan prep, but making it last. 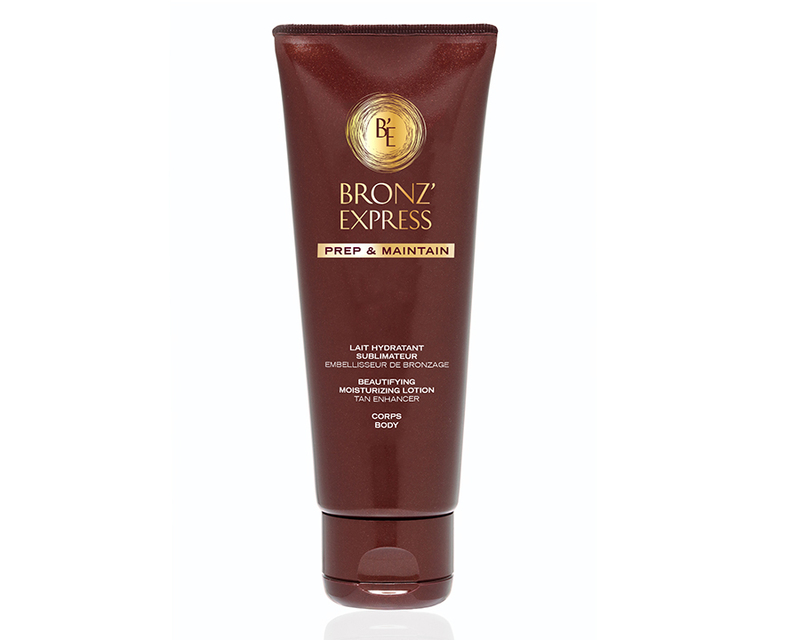 Bronz Express lasts a good four days before you need to add another layer. Using the Beautifying Moisturising Lotion, every day the tan stays fresh and glowing. Just in case you want to check out the products I like from the range, you can click through the gallery below!